When it comes to pregnancy options, the Safe Haven laws are often unknown and not even considered as a option for many pregnant teens or adults ready to give birth. Safe Haven Laws are enacted in each state in the U.S. to allow an unharmed infant to be given to the proper authorities with no questions asked. In the news, mothers have reported leaving their newly born babies to die in trash cans and bathrooms. Some tragic events even result in death for the baby because the infant is not found soon enough, or the mother will actually cause harm enough to kill her own baby directly after birth (infanticide). Some mothers do this because they are psychologically unequipped to handle being a parent. Many teens have reportedly opted for these, sometimes drastic and deadly, ways to deal with their pregnancy because they are afraid of the repercussions of having a baby from their parents, boyfriends, friends, etc. Some pregnant teens or young pregnant women are just too scared of being able to deal with the consequences so they end their child’s life or abandon the new baby. These are tragic outcomes of a situation that could be entirely preventable through certain means including the Safe Haven laws that are available in each state. 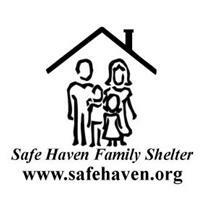 What Are The Safe Haven Laws? For teens or young pregnant women that make it to full term pregnancy, but realize they do not want to keep the baby, there is an alternative way to handle the situation. Under each state’s Safe Haven law, a woman or even friend or family member (in some states, not all) can take the infant to a safe location like a police station or hospital to drop off the baby with no questions asked. This law was enacted by the states after an increase in the problem with infant abandonment and infanticide. This is a way for mothers in crisis to relinquish their babies to a designated location where they will be able to receive proper care. The laws make it so the mother or person dropping off the baby is legally able to remain anonymous and shielded from prosecution for abandonment or neglect for giving up the baby. In most states, the mother or the father of the baby is able to drop off the child. However, in some states other family members or parents of the pregnant woman are able to drop off the baby with no legal repercussions. The parent does not have to give any name or identification to the authorities in order to protect their anonymity. The safe haven providers will then take care of any immediate medical care the infant might need. The local welfare or department of human services is then also notified that the baby has been dropped off. The parent of the infant will often be asked for medical information and be given referral services for assistance. Four states in the U.S. will provide a copy of the infant’s ID number or bracelet to be offered to the parent if that parent ever does try for reunification at a later date. The mother and father of the infant will be protected from prosecution for relinquishment of the baby only in cases where no harm or neglect has yet come to the baby by either parent. The welfare department of the state will then be responsible for placing the infant in a secure home. There will also be a petition to the courts for termination of parental rights on the part of the birth parents. Once the baby is placed in a home, the baby must be cleared as being reported as a missing child. About 20 states even have procedures that are in place for a parent to be able to reclaim the infant usually within a specified time after relinquishment before the petition to terminate parental rights has been granted. There are also five states that have provisions in place for the father especially if the father did not relinquish the infant in the first place. There are many resources online to help those in need of needing to know what their state’s Safe Haven Laws are and how they can be used. Many teens or young pregnant women might do their best to hide a pregnancy or pretend that it doesn’t exist. Once the baby is born, they have no way to care for the child, nor any set up situation in place like an adoption to care for the baby. They feel like they may not have any options, yet with the Safe Haven Laws they do. With little repercussions legally, the teen or young woman can take necessary measures to ensure the baby is safe and placed with a secure, loving environment.